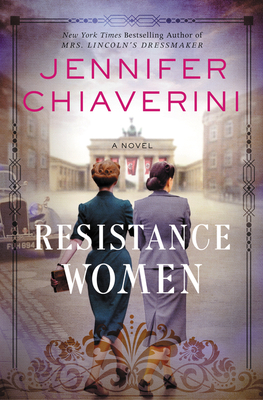 From the New York Times bestselling author of Mrs. Lincoln’s Dressmaker, an enthralling historical saga that recreates the danger, romance, and sacrifice of an era and brings to life one courageous, passionate American—Mildred Fish Harnack—and her circle of women friends who waged a clandestine battle against Hitler in Nazi Berlin. After Wisconsin graduate student Mildred Fish marries brilliant German economist Arvid Harnack, she accompanies him to his German homeland, where a promising future awaits. In the thriving intellectual culture of 1930s Berlin, the newlyweds create a rich new life filled with love, friendships, and rewarding work—but the rise of a malevolent new political faction inexorably changes their fate. As Adolf Hitler and his Nazi Party wield violence and lies to seize power, Mildred, Arvid, and their friends resolve to resist. Mildred gathers intelligence for her American contacts, including Martha Dodd, the vivacious and very modern daughter of the US ambassador. Her German friends, aspiring author Greta Kuckoff and literature student Sara Weitz, risk their lives to collect information from journalists, military officers, and officials within the highest levels of the Nazi regime. For years, Mildred’s network stealthily fights to bring down the Third Reich from within. But when Nazi radio operatives detect an errant Russian signal, the Harnack resistance cell is exposed, with fatal consequences. Inspired by actual events, Resistance Women is an enthralling, unforgettable story of ordinary people determined to resist the rise of evil, sacrificing their own lives and liberty to fight injustice and defend the oppressed. Jennifer Chiaverini is the New York Times bestselling author of several acclaimed historical novels and the beloved Elm Creek Quilts series. A graduate of the University of Notre Dame and the University of Chicago, she lives with her husband and two sons in Madison, Wisconsin.